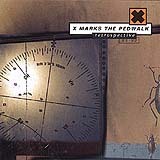 X Marks the Pedwalk burst onto electro-industrial scene in the beginning of the 1990s. 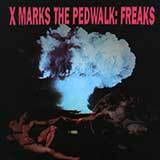 Their debut full length recording, 1991's Freaks immediately established the act as a major force in the newly emerging industrial dance genre. The band's sound was infectious: steady cold beats augmented with bouncing sequencers, moderately distorted vocals, and peppered with highly effective samples. 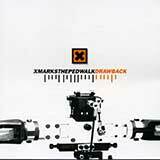 Over the next few releases, the sound of XMTP evolved, slowly the harshness of earlier releases faded away and the act experimented with blending in more mainstream techno elements, culminating in 1996's Meshwork, which was met with cries of approval throughout the hard electro scene. The release of the album Drawback saw a triumphant blend of influences and musical growth, with styling ranging from more mainstream electro to moody synthetic soundscapes. 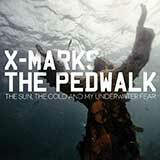 Then, at the peak of the acts creative output, X Marks The Pedwalk went dormant. Now, a decade later, the legend returns. Inner Zone Journey shows that the musical genius of XMP mastermind Sevren Ni-Arb has not dulled over time. Never an act to rest on its creative laurels, Inner Zone Journey is just that, a progressive musical document of self exploration.